Find it not as easy to get around as you used to? Perhaps your grip isn’t quite what is was before – perhaps it’s time to think about investing in one of our three wheel rollators. 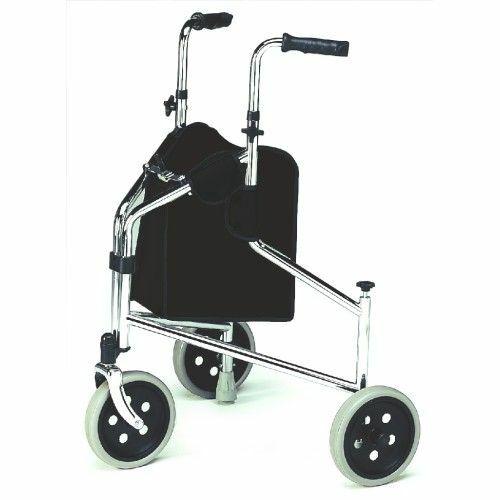 This particular model has all of the basics that you’d want – for example, solid wheels, easy manoeuvrability, adjustable height handles - but also push down brakes. This three wheel walker with brakes has push down levers that are ideal for people with poor grip. By just pushing down on the handles to activate the brakes, you’ll stop the rollator from going anywhere that you don’t want it to! Thank you for the brilliant service. The walker arrived very quickly and very well packed. I am impressed by the super quality and am finding it very helpful to go shopping.